This heavy, solid oak spoon rack is hand made and perfect for your precious set of collector spoons. Hangs horizontally and measures 16"W x 22 1/2"H x 1 3/4" D. Spacing between rows is 4 1/8". 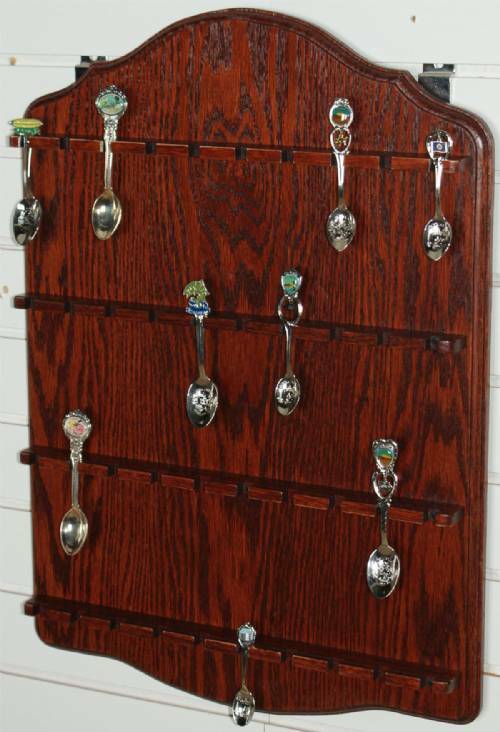 Rack holds 40 collector spoons and comes in 7 finishes. See photos for finish colors.